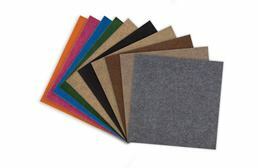 FlooringInc.com offers a wide variety of peel and stick carpet tiles to fit your ever need. 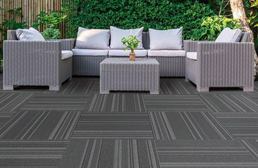 We bring you a mix of high quality brand names, indoor carpet squares, outdoor carpeting options, as well as fun colors and patterns that can be mixed and matched to create your own unique space. Since these tiles have peel and stick or a sticky backing, they are the perfect flooring solution for any DIY skill level: beginner or expert! Our self adhesive carpet is a very popular flooring option in budget conscious projects, whether in the home or in the lovely outdoors. 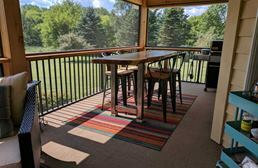 Peel & stick carpet tiles are exactly as the name suggests, carpet that comes in tile form that has a self-adhering backing that can be adhered to your floor. Installing is as easy as the name suggests. Simply peel, stick, and adhere. It’s a great DIY product and requires only a few tools. 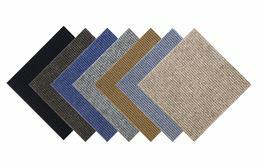 Many Peel & Stick Carpet Tiles are stain, fade, and crush resistant as well as resistant to mold and mildew. 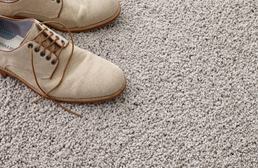 Basically, Self-adhering carpet tiles are built to last. 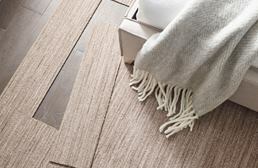 At this point, maybe you’re wondering why you would choose peel & stick carpet for your home. 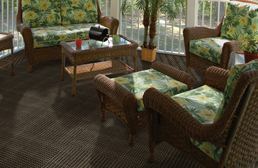 The fact is peel and stick carpet is inexpensive, durable, and easy to install. 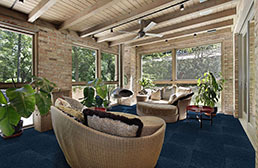 Let’s look at a few benefits of self-adhering carpet tile. 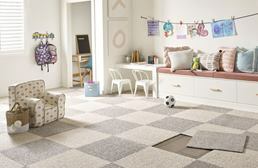 Peel & stick carpet tiles are very easy to install and can be done in a matter of hours. 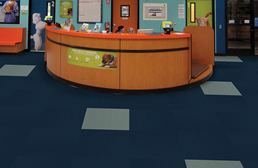 Create custom patterns and textures using different colors or simply rotating the tile. 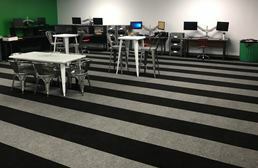 A fun part of carpet tiles is that you can mix and match. 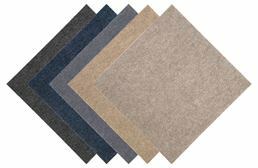 Carpet tiles produce less waste than installing broadloom carpet. That’s because tile comes in different sizes so you end up cutting less to fit the space. 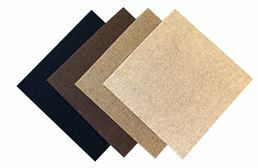 Peel & stick carpet tiles are inexpensive. 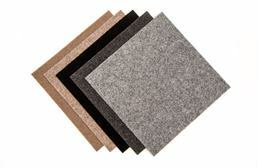 If you’re looking for an inexpensive but durable flooring, self-adhering carpet tiles are the way to go. 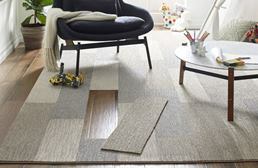 If you want easy, peel and stick carpet tiles are the easiest to install. The adhesive is already applied to each tile and all you have to do is pull back the plastic sheet to expose it. 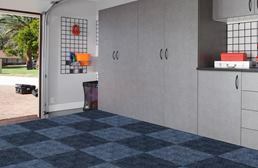 Simply place the peel and stick carpet tile on the floor, and press down to adhere it to the floor. Of course, always check the manufacturer’s suggestion. 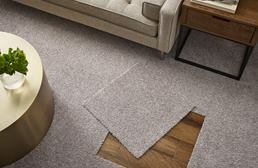 Why Choose Peel & Stick Carpet? 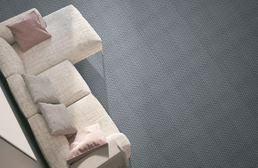 Self-adhering carpet tile is the modern version of wall to wall carpet. 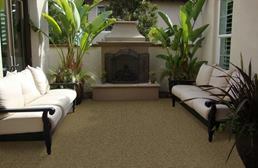 The fact you no longer have to call a professional to install your next carpet roll is an added bonus. 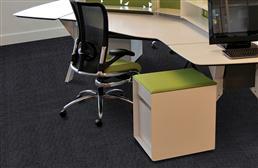 Everyone needs a little simplicity in their life and self-adhering carpet tiles are simple. There’s something nice about getting a whole room the way you like it within a day. No stress, no strangers, just you and your new floor.